See also Ramses II. c. 1250 B.C. Open Air Museum, Memphis, Egypt. Note: This image can be enlarged by clicking on it. 3 Polykleitos. Doryphorus (Spear Bearer). Roman copy after a bronze original of c. 450–440 B.C. National Archeological Museum, Naples, Italy. Note: This image can be enlarged by clicking on it. 6 Attributed to Praxiteles. Hermes with the Infant Dionysus (head and torso). c. 340 B.C. National Archaeological Museum, Olympia, Greece. Note: This image can be enlarged by clicking on it. 7 Last Judgment. c. 1130–1145. St. Lazare, Autun, France. Note especially the central figure of Christ. 8 Isaiah. c. 1150. Sainte Marie de Souillac, Souillac, France. 9 Eve, from St. Lazare, Autun, France. c. 1130. Musée Rolin, Autun, France. 10 Detail of the Damned, from the Last Judgment. c. 1140–1145. St. Lazare, Autun, France. 11 Roettgen Pietà. c. 1325–1360. Rheinisches Landesmuseum (formerly Provincial Museum), Bonn, Germany. 12 Donatello. St. George. 1415–1417. Museo Nazionale del Bargello, Florence, Italy. Note: This image can be enlarged by clicking on it. 13 Botticelli. The Birth of Venus. c. 1482. Uffizi Gallery, Florence, Italy. Note: This image can be enlarged by clicking on it. 14 Michelangelo. Pietà. 1498/99–1500. St. Peter’s, Vatican, Rome. 15 Michelangelo. David. 1501–1504. Academy, Florence, Italy. Note: This image can be enlarged by clicking on it. 17 Michelangelo. Rondanini Pietà. 1564. Sforza Castle, Milan, Italy. Note: This image can be enlarged by clicking on it. 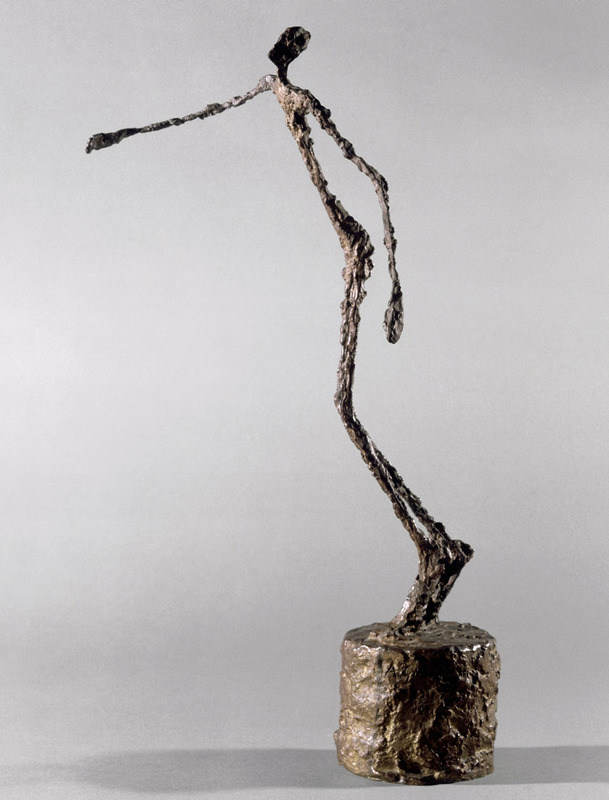 25 Alberto Giacometti. Falling Man. 1950. Musée Calvet, Avignon, France. 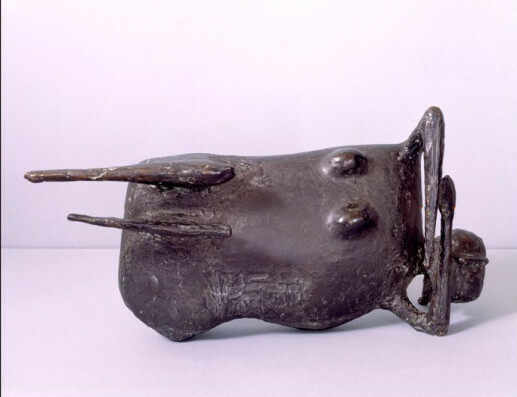 27 Henry Moore. Reclining Figure. 1939. Detroit Institute of Arts, Michigan. “Sense of life” as an individual’s subconscious metaphysics — an emotional sum reflecting one’s judgments of what’s personally most important in the world.